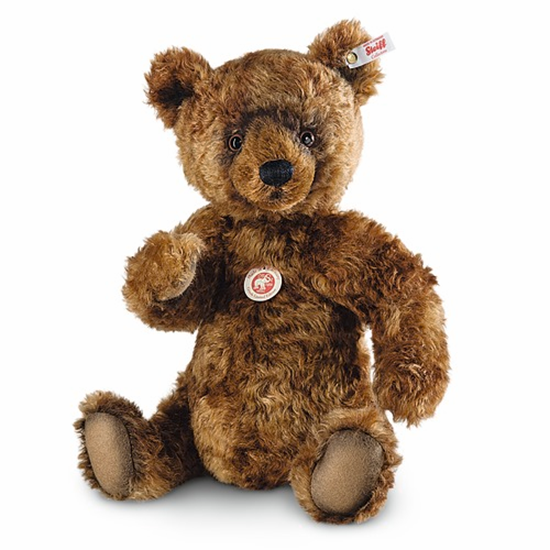 By Steiff, Grizzley is made of an exclusive batik mohair designed to capture the bear's striking color. This majestic symbol of the wild - Grizzley is made of a very special and unique batik mohair made exclusively for Grizzley to capture the bear's striking grizzled golden and gray hair color, which is exclusive to this magnificent bear. Made in Germany by Steiff, Grizzley is 13.4 inches tall and is 3-way jointed and has a wonderful growler. New in 2015, Grizzley is a North American Exclusive of 1500 pieces.